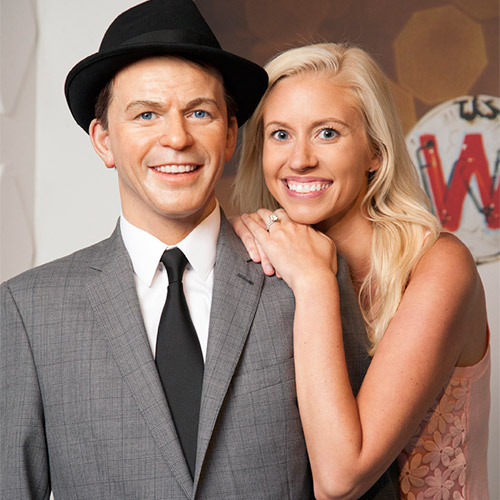 A renowned landmark in Myrtle Beach and a Broadway at the Beach staple, Hollywood Wax Museum allows you to get up close and personal with the stars. The two-story venue features uncanny replicas of favorite A-listers while giving guests the chance learn about their pets, pet peeves, and accomplishments. 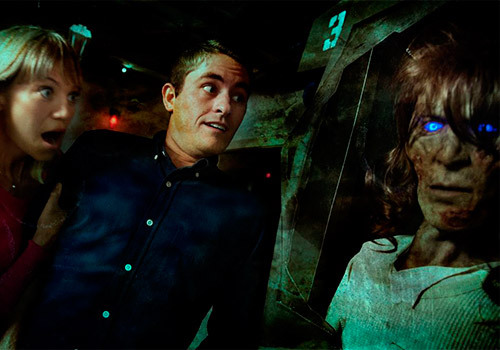 Visit Hannah’s Maze of Mirrors and Outbreak in the same building with the All Access Pass. 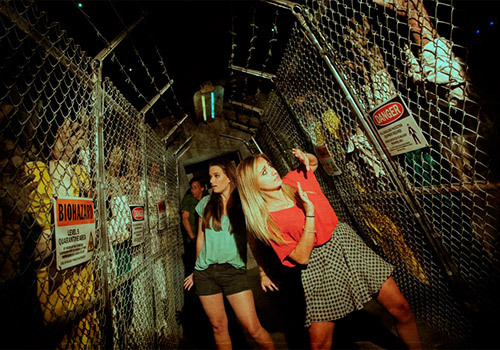 Outbreak & Hannah’s Maze of Mirrors located in same building as Hollywood Wax Museum. Gift shop with collectibles onsite. The best entertainment value in Myrtle Beach! 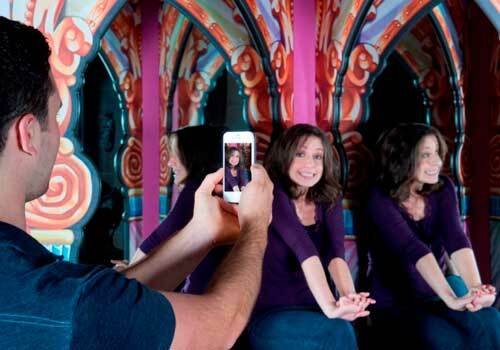 Take pictures with stars at the Hollywood Wax Museum, escape from a zombie-infested lab, and save a princess trapped within a mirror maze. Come Play With The Stars! The Hollywood Wax Museum Myrtle Beach gives you the chance to rub elbows and take “selfies” with your favorite Hollywood stars and pop culture icons while learning about their pets, pet peeves, and accomplishments. 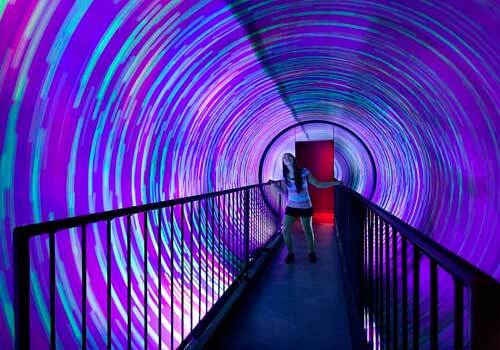 Plus, take a peek into the prop vault, play piano keys that are 10-feet tall, make your way through a laser maze, and more. From classic celebrities to new favorites, there is something for everyone to enjoy. Are you The Chosen One? Find your way through the mirrored corridors hidden deep within the Castle of Savannah and summon your inner hero on your quest to save Princess Hannah. Discover 288 potential turns among hundreds of mirrored walls and archways, plus several sections where you see infinite reflections in every direction. 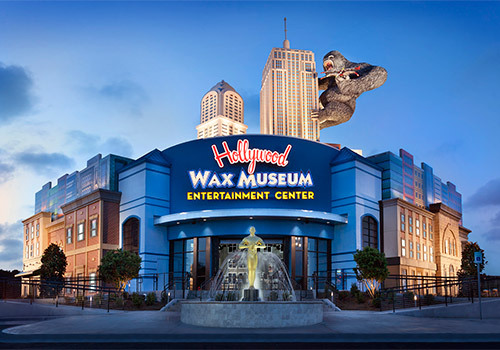 The Hollywood Wax Museum Entertainment Center is a landmark in Myrtle Beach and a highlight of Broadway at the Beach at the intersection of Highway 17 Bypass and 21st Avenue. 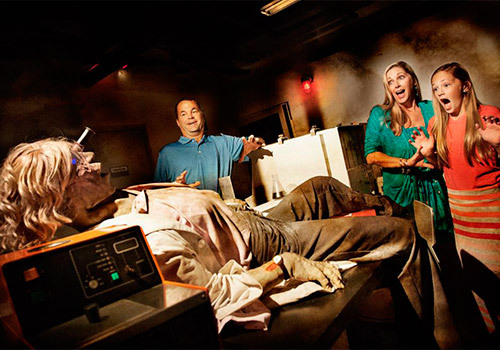 The Hollywood Wax Museum, Hannah’s Maze, and Outbreak are open daily year round at 9:00am. Closing times vary per season. 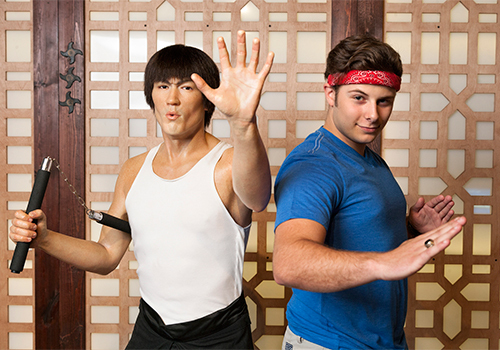 Are cameras allowed inside the wax museum? 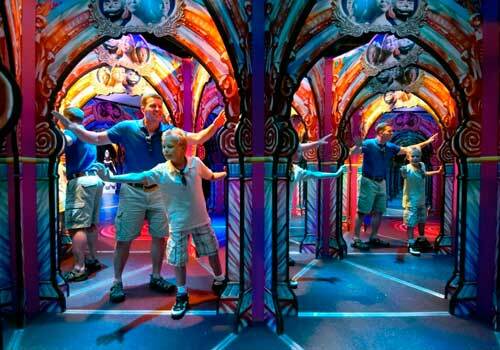 Are the attractions appropriate for small children? Be advised that Outbreak contains frightening themes and effects involving a zombie apocalypse plot line. 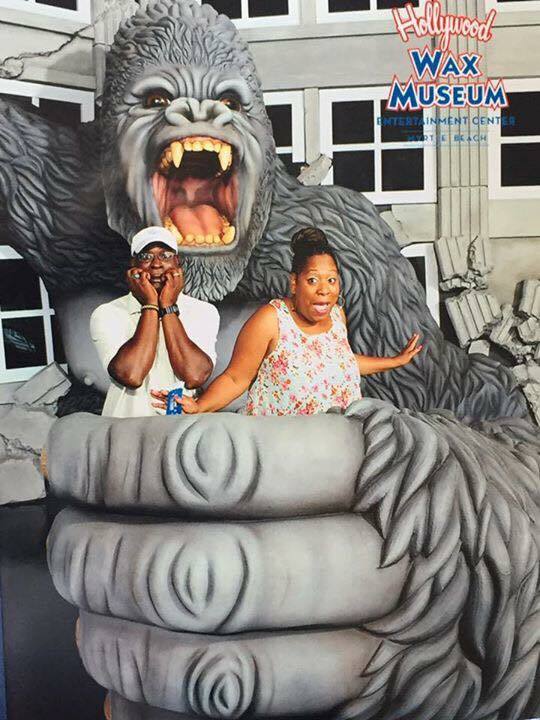 Hollywood Wax Museum and Hannah’s Maze are perfectly suitable for children.